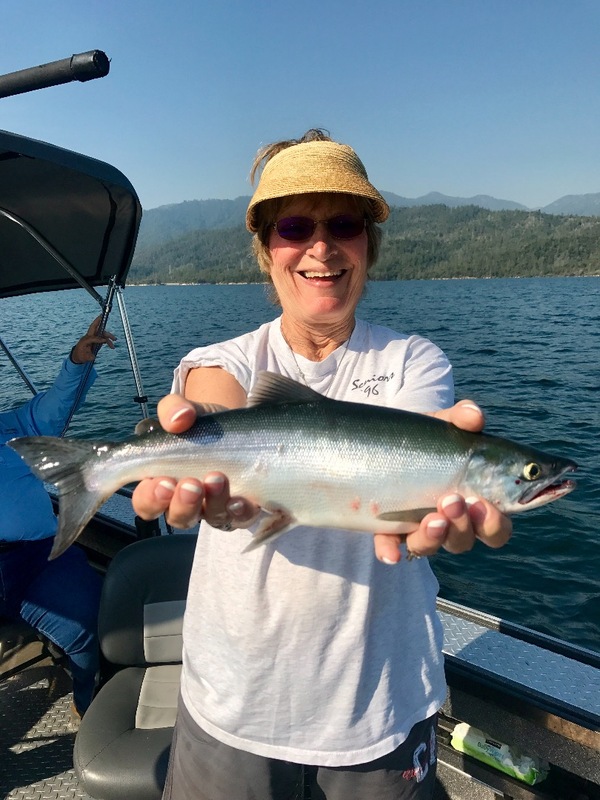 Whiskeytown Lake Kokanee on the move! 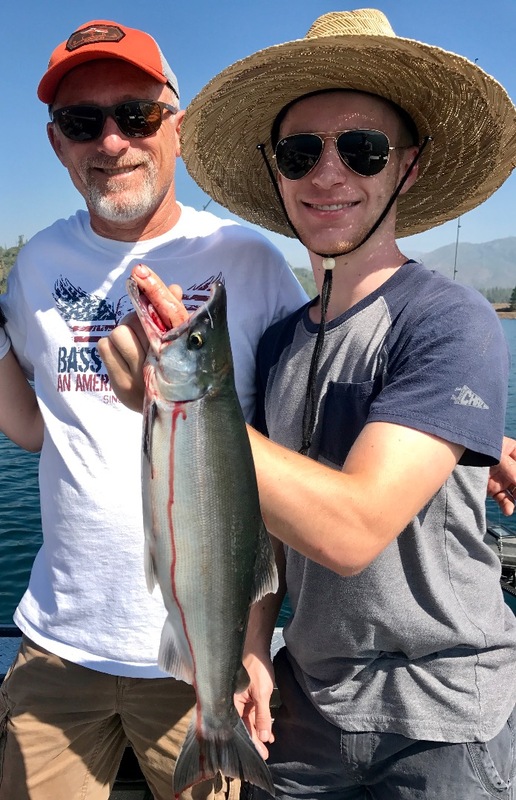 Father son photo of an 18 1/4" Kokanee salmon. Nothing like sending your son off to college with great memories of a family fishing trip! Deep bite on Shasta Lake today! 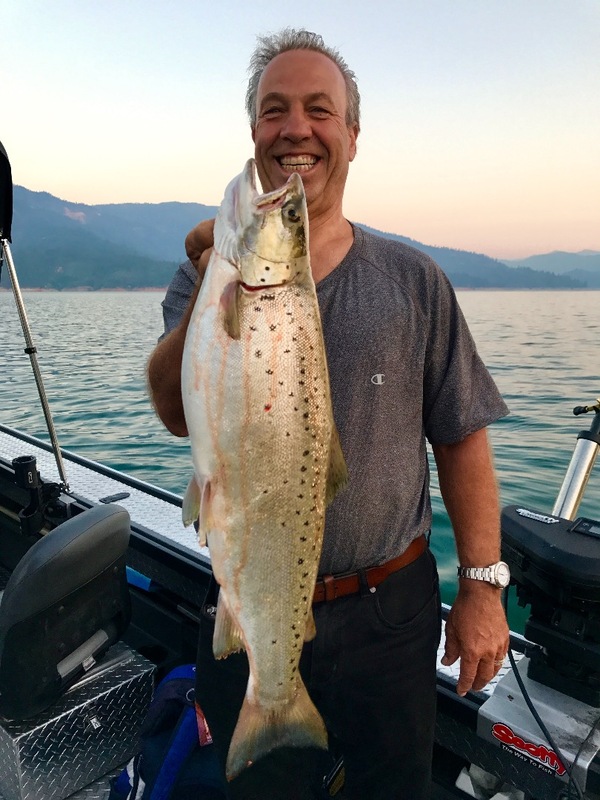 Whiskeytown Lake Kokanee on a steady bite!